This article was published in the Spring 2014 Baseball Research Journal. “The Society for American Baseball Research may well consider Ernie Lanigan as its patron saint or guardian angel,” wrote Henry Chadwick Award honoree Fred Lieb. According to Lieb, no one had ever done as much for baseball research as the diligent, untiring, ever-searching Lanigan. He was a pioneer at gathering information about baseball statistics and about the players themselves. Ernest John Lanigan, known to all as Ernie, was born in Chicago on January 4, 1873. His father, George T. Lanigan, was a newspaper reporter-editor and poet. His mother, Bertha Spink Lanigan, was an early editor of the Ladies Home Journal. Bertha’s brother Albert H. Spink started The Sporting News in St. Louis in 1886, where another brother, Charles C. Spink, later joined him. At age 15, Ernie began his career in baseball when he went to work for his uncles at The Sporting News. When he was eighteen, he went to work in a bank, but left after eight years and spent the rest of his life in baseball. As a young man, Lanigan came down with a lung infection that affected his health for the remainder of his life. He constantly battled pulmonary illnesses, which made it necessary for him to spend time in various health sanitaria. It was during a two-year convalescence in the Adirondack Mountains that he began compiling new statistics. He recorded runs batted in for 1907–19 and caught stealing data for 1912–19 in the National League, at a time when no was else was doing so. The major leagues eventually adopted them both as official statistics. During his career, Lanigan served as a reporter for the New York Press, and later as the sports editor for the Cleveland Leader. 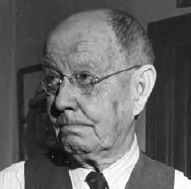 He was the official scorer for some of the early World Series and was the secretary and information director of the International League, under its president, Ed Barrow, when they were transforming from the old Eastern League. He found Barrow demanded almost servile service from him, and so he left. He returned later when Frank Shaughnessy became president. At one time, Lanigan was also the business manager of St. Louis Cardinals farm teams in Dayton, Ohio, and Fort Wayne, Indiana. Lanigan was an early supporter for a national organization of the major league baseball writers, which became a reality when the Baseball Writers Association of America was formed in December 1908. He wrote for Baseball Magazine, and in 1922 published the first titular baseball encyclopedia. The Baseball Cyclopedia, as Lanigan called it, claimed to be “a review of Professional Baseball, the history of all Major League Clubs, playing records and unique events, the batting, pitching and base running champions, World’s Series’ statistics and a carefully arranged alphabetical list of the records of more than 3,500 Major League ball players, a feature never before attempted in print.” Lanigan updated it annually through 1933. From 1946, until his retirement in 1959, Lanigan served as the curator of the National Baseball Hall of Fame and Museum, and later as its historian. He died in Philadelphia, at age 89, on February 6, 1962. To learn more about the Henry Chadwick Award, click here.